"It all started when my beautiful, amazing mum Frances passed away at the age of 67 after having breast cancer. It had come back ten years after her first diagnosis. I had just had my first child Sofia, who was five months old when my mother passed away. I felt grateful my mum saw her first grandchild for five months of her life, but as Sofia has grown up I feel awful that she is missing milestones and she isn’t with me to share the special moments. A friend had told me about the BRCA gene mutation and I went to see a private doctor, who felt my family history wasn’t that unusual as my mother wasn’t young when she got breast cancer. I went away thinking I should not worry about anything further. It was around a month later that I read an article online that if you were of Ashkenazi Jewish heritage and had one parent on either side with a history of breast or ovarian cancer you should get tested as you are at a higher risk of developing breast and/or ovarian cancer. I went back to my GP and informed him I was Jewish and he immediately referred me to the Royal Marsden to meet with a genetic counsellor. The counsellor also said she may not have put me forward if it had not been for my Jewish heritage and I went through with the blood test. 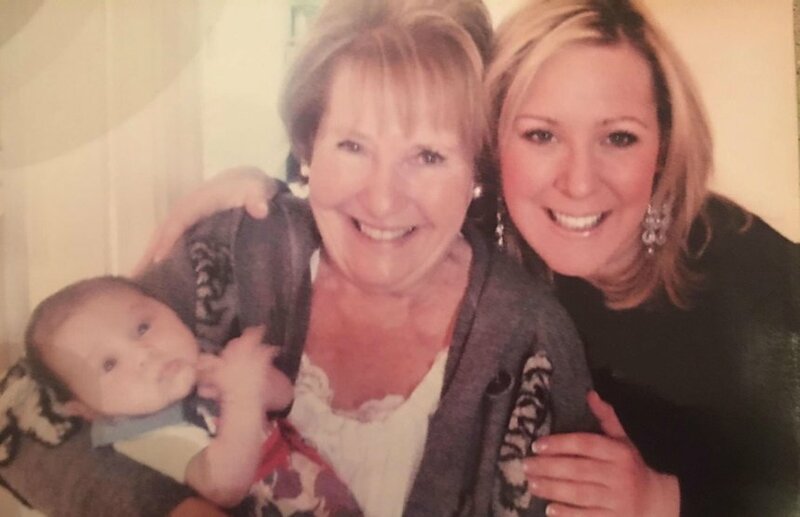 "I only wish my mum could've been able to make the same choice"
Three months later I got the phone call and was shocked when I was told I had the BRCA2 gene mutation. In fact, shocked was an understatement. Medical professionals had told me it would be highly unlikely that I should have anything to worry about, so I didn’t take the news very well as I was unprepared for this outcome. All I could think about was my poor amazing mum who went through hell and kept thinking that I didn’t want it to be my fate too. I wanted to see my children and possible grandchildren grow up. After being told about preventative surgery it was a no-brainer to reduce my chances from 85% to 5% of getting cancer. However, the thought of the operation filled me with dread and fear. After further counselling and three years later, at the age of 36 I decided to have a double mastectomy and reconstructive surgery at the same time. After the surgery, I felt immense relief and I would recommend it to anyone who is hesitating. I should have done it sooner as, in hindsight, the worrying was far worse. My breasts look better now than they did before and I thought I had a good pair! The results of this surgery really can be beautiful. When I am 40 I will go back to the Royal Marsden to discuss having my ovaries removed as I have been advised, and I feel my family is complete with the two children I have. I feel lucky to be able to turn a negative situation into a more positive one. I believe I have given myself the best chance of reducing the risks. I only wish my mum could've been able to make the same choice. Had she been informed about the genetic testing I think she would still be alive today. The process of going through preventative surgeries for breast and ovarian cancer are not comparable with getting cancer and having to go through the treatment. More information needs to be given to protect ourselves and future generations I am so glad I have joined the BRCA Army." Our Hereditary Cancer Risk Tool assesses your risk of having inherited a genetic mutation that could increase your risk of developing certain cancers. It's suitable for both men and women. "I am determined to see this treatment as a precious gift of life"